Log & Lumber Forks feature vertical floating tines for ease of loading and unloading on rough terrain. The fully forged tines offer a 3 to 1 safety factor. 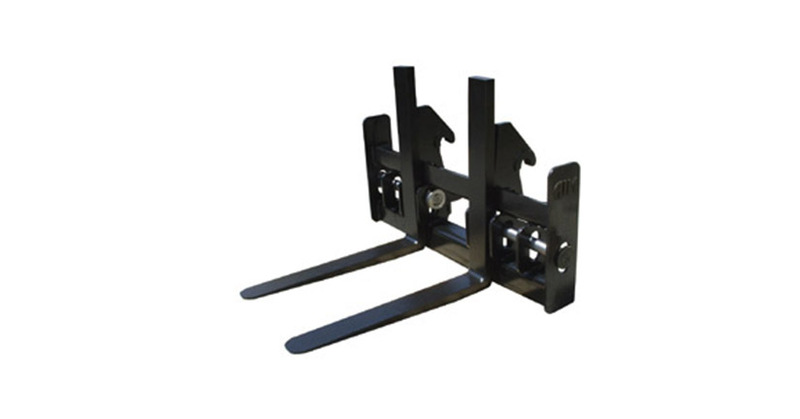 Adjustable tines allow for handling of various widths of materials. Backframe is a low profile design to allow highest visibility for all material loading needs.